Cloughjordan totalhealth Pharmacy in Cloughjordan, Co. Tipperary is the village pharmacy and it plays an integral part of the life of the local community. Aonghus Gibbons and his team have created a pharmacy business based around trust and a caring concern for all his valued patients, customers, neighbours and friends. The priority is that the health advice any customer receives in the pharmacy is professional, sound and accurate. The pharmacy places a huge importance on staff training and all staff have completed the totalhealth Pharmacy Medicine Counter Assistant Training programme. This training ensures that all customers and patients can be assured that the advice they are getting in the pharmacy is advice they can trust with confidence. Aonghus is proud to be using the latest technology in his dispensary, a “Consis Pharmacy Robot” which has resulted in efficient and safer service for his patients. 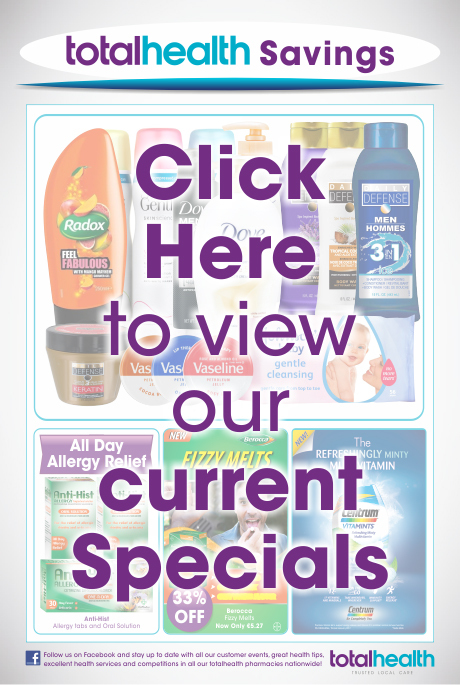 The pharmacy offers a comprehensive range of health, beauty and photographic products and services ensuring great choice and value for customers. Cloughjordan totalhealth Pharmacy, with its welcoming homely atmosphere and professional, yet friendly staff is a central part of life in Cloughjordan.